Adding a new iteration to a series of best acoustic guitars gets the pressure higher and higher. 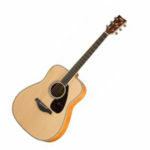 This is the case of the Yamaha FG series, one of the brand’s well-received acoustic guitar lineups. And it does not ring any truer when Yamaha released the FG840 in 2016. Today, we are talking about the budget-friendly entry-level acoustic guitar that is the Yamaha FG840 and how it is doing three years since it debuted. Is the guitar still worthy of attention among the pack of entry levels? Find out. The Yamaha FG840 is a full-size acoustic folk guitar with traditional western body shape. The top is made from solid Sitka spruce, while the back and sides are made from flamed rosewood. Everything from the bottom to the top is all wrapped up in a beautiful, hand-sprayed gloss finish. Inside the body is a scalloped bracing that helps keep the guitar more durable. The neck is made from nato and houses a rosewood fretboard and urea nut. The neck is coated in a matte finish. On the headstock is a set of die-cast chrome tuners and an adjustable truss rod. On the side are a tortoise-patterned pickguard, a rosewood bridge with black ABS bridge pins, a urea saddle, and an abalone soundhole inlay with black and white detailing. In terms of the overall quality of tonewood and look of the design, this guitar is not bad at all. In fact, the solid spruce top alone is something you would appreciate in an acoustic guitar in this price range. In addition, the binding looks seamless. This guitar is available in three color options: natural, tobacco brown sunburst, and autumn sunburst. In this price range, you might expect a really good sound. The Yamaha FG840 does not disappoint in this department. The solid top helps deliver an authentic sound that is well-balanced and mature. The sound in the low to mid-ranges are louder and stronger than its counterparts. Also, the rosewood back and sides help make a rich overtone, long sustain, deep lows, and bright highs. It is worth mentioning that the sound output does not fade or wear out over time. Overall, the sound quality is really exceptional for its price tag. 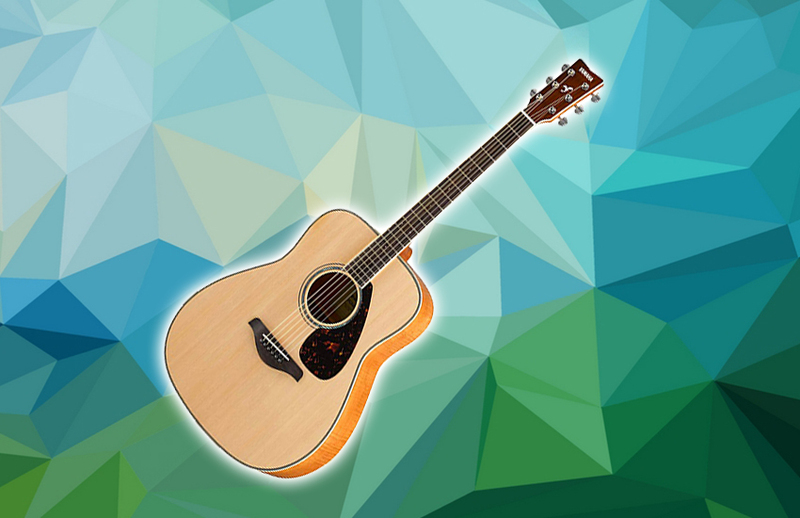 Playability is another thing that you will love about the Yamaha FG840. While sporting a full-size body and a solid wood, Yamaha has managed to deliver a compact and lightweight acoustic guitar in the FG840. This is something that travelers would really appreciate in the long run. The Verdict: Should You Buy Yamaha FG840? The Yamaha FG840 acoustic guitar is built on both experience and research. It has great construction, stunning traditional looks, impressive sound quality, and playability. You get everything you would want for in an acoustic guitar in this price range. And that is what sets it apart — you will get your money’s worth with this guitar, whether you are a beginner or an advanced player. Even pro players would not find this guitar outright shabby. If you want a Yamaha-branded entry-level guitar that will surprise you, the Yamaha FG840 is a great option on the market.